Make restaurant-style meals in your own home. 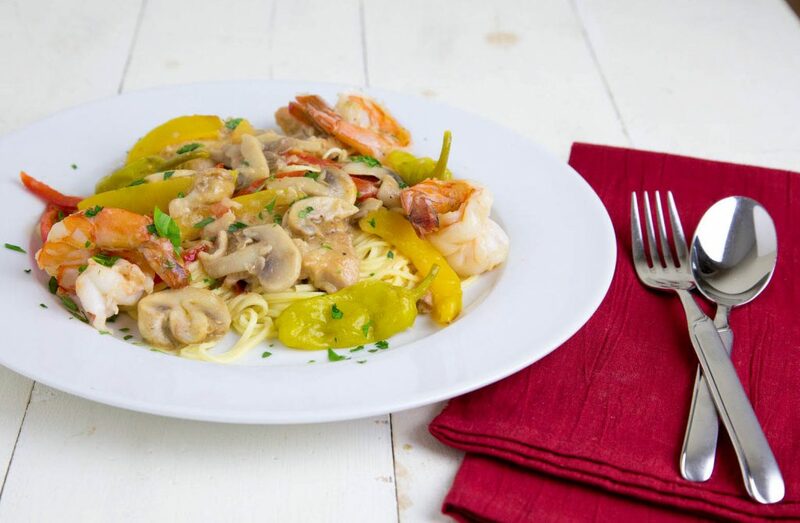 My Chicken and Shrimp Toscano takes minutes to prepare and will turn any occasion into a special occasion! 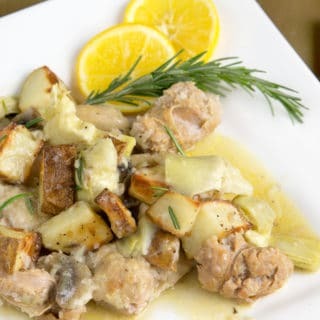 How to make Chicken and Shrimp Toscano. During my restaurant days, I loved the saute station, blending ingredients together, finding the right balance, getting the sauce just right and providing my guests with a good value and a delicious meal. One of the ways I used to keep costs down was to mix chicken and shrimp together. 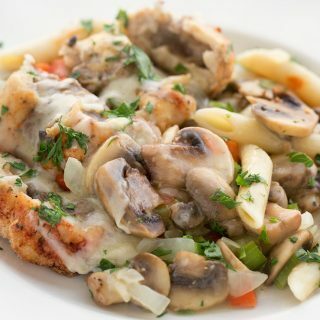 My guest still got the splurge of plump juicy gulf shrimp, while the chicken helped keep the cost in line, and of course, I served the dish over pasta so by the end of the meal my guest was full and satisfied. 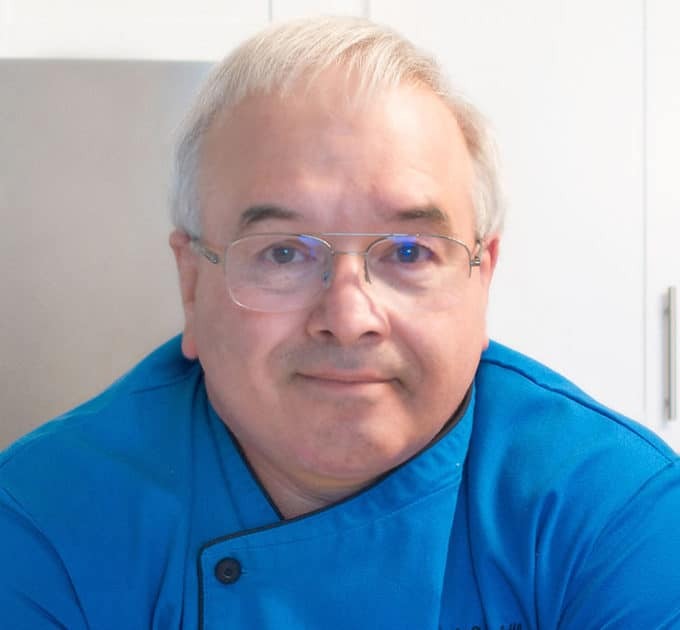 Using the same philosophy in your kitchen you can take ordinary everyday meals and transform them into special occasions by creating my Restaurant Style Meals in your own home. Don’t think you can’t afford shrimp because if you shop in the right stores you can find quality products at about the same cost that I would pay from my suppliers when I worked in restaurants. When it comes to seafood Sams Club has been my go-to store for years, providing me with huge wild-caught shrimp, lobster and even scallops. You’ll find most of your club stores will not only have great seafood selections but also some good cuts of meats. By shopping wisely your once or twice a year big splurge can become a once a month date night at home at a fraction of what you’d pay at a restaurant for the same meal. 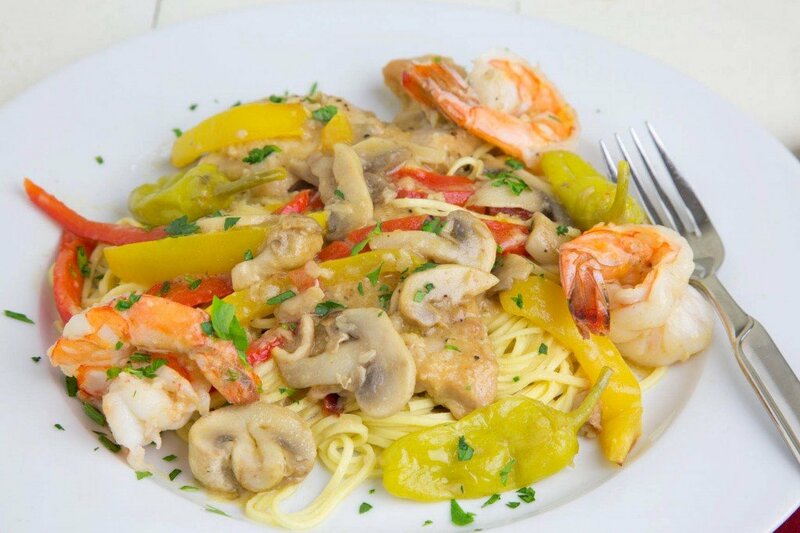 Of course, this dish is just one of many you can create using chicken and shrimp, so if you don’t like peppers or want it in a red sauce, by all means, adjust the recipe. Just stay along the basic guidelines and you’ll find out how easy it is too cook just like and even better than your favorite restaurant! place chicken and chopped garlic in pan and cook for 1-2 minutes then turn over. when turning place mushrooms and bell peppers in pan along with shrimp and continue cooking until shrimp look almost done. Remove shrimp from the pan, add Tuscan peppers saute briefly then add chicken stock and reduce heat. Season with grated Romano cheese and pinch of black pepper. When ready to serve add shrimp back into pan , and roll butter into flour, pushing flour into butter creating a beurre manie. This will help thicken the sauce. If your dish looks too dry add a little more stock until there's enough sauce for the pasta. 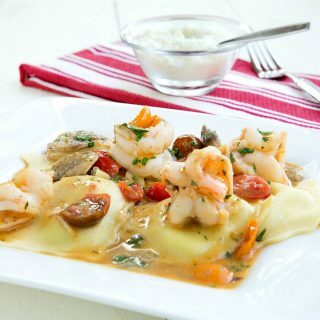 Place pasta on serving dish and divide shrimp and chicken, then finish topping with remainder of ingredients and sauce. 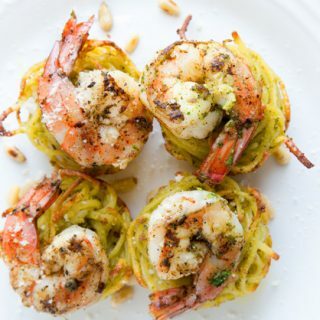 Sprinkle with chopped Italian parsley a little extra cheese and enjoy! Previous Post: « Buffalo Chicken Mac and Cheese and Hello from Florida! Looks tasty, and good to hear the thought process that enables one to make something like this for a reasonable price. 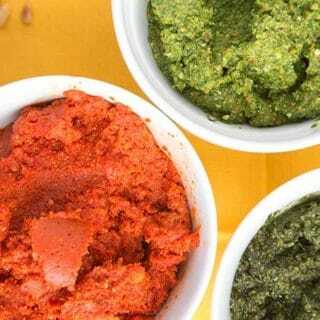 Thank you Linda, I’m happy that you’ve found your way over to my blog and hope you enjoy my recipes! Lets hope you can start having fun in the kitchen and everyone will begin to enjoy the results! Chef that looks amazing!!! I love a good chicken and seafood dish! This looks soooo delicious!!.. Can I also used a wheat pasta? you can use your favorite pasta Claudette! I can’t have shrimps any more (sigh) but can I use fish instead? or should I just make it with chicken? I would just leave out the shrimp Muna, it will be delicious just with the chicken! I am a seafood fan and this looks like a winner. I have everything but the pepperoncini but gonna give this a try. you can leave the pepperoncini out Lail, its not a deal breaker it just adds a little zing to the dish! I love your philosophy. We used to have to do the same thing at our make ahead meal assembly store. 🙂 And, speaking as a seafood fan, you don’t miss a thing with a dish as tasty as this! Thanks Marjory! You gotta love good seafood! This recipe looks like another winner . The procedure looks fairly easy and I can just smell the aromas from the finished dish. Thanks for sharing this one, Chef Dennis! Good to see your pics from FL on the networks! thanks Betty Ann, its really been wonderful down in Florida and it looks like we certainly picked the right year to move! Heading out for shrimp right now! So enjoyed meeting you and Lisa at Disney! My husband is starting to mumble about making BBQ! Will let you when. Thanks Charlene! Lisa and I enjoyed meeting you as well. Hope you’re getting some of this glorious weather! Great job chef, that recipe looks and sounds amazing! Thanks Eric, I appreciate you stopping by! Agreed – the wholesale clubs really can be a lifesaver when it comes to finding more reasonably priced cuts of meat/ etc. Like the pepperoncini touch with the shrimp. Looks great. Thank you Cher! the pepperoncini adds another dimension to the dish! Costco has been my go to for seafood for years. And loving this recipe. I’ve got some pepperoncini on the fridge door that I was wondering what to do with. Life has taken me on some dips and curves, and the roller coaster hasn’t stopped yet. I’ll have to tweak it some because of food allergies and sensitivities but I’m going to give it a try. I’ll serve it with risotto cakes, and leave out the peppers. I hope all is well with you, even when I can’t get to the blogs, yours is always on my mind, being I think my favourite or close to. it has been awhile, its so good to hear from you! Sounds wonderful! I also like to mix my proteins in a dish to either lower the cost or just stretch the dish. 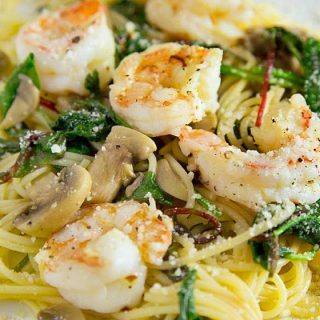 If there’s shrimp and garlic, I’m in. It is a great way to liven up a meal Sylvia! thanks so much for stopping by! !